Anytime I get to drive east from Las Vegas and don’t have to dip down into Phoenix, it’s going to be a good drive. I don’t know how half of one state can be so gorgeous while the other half is basically hell on earth. Of course anywhere in New Mexico is sure to be awesome. If you are ever taking the twelve hour Las Vegas, Nevada to Las Vegas, New Mexico drive, make sure you stop a lot along the way. It used to be that you’d get 40 minutes out of Vegas and you’d find yourself in a two hour Hoover Dam traffic jam. Not anymore, as the new bridge whisks you over the top. Of course, you are missing driving across the New Deal Monument (sorry…teaching American history now – we are just getting past the Depression), but if you’ve seen it a million times, be happy for the bridge. 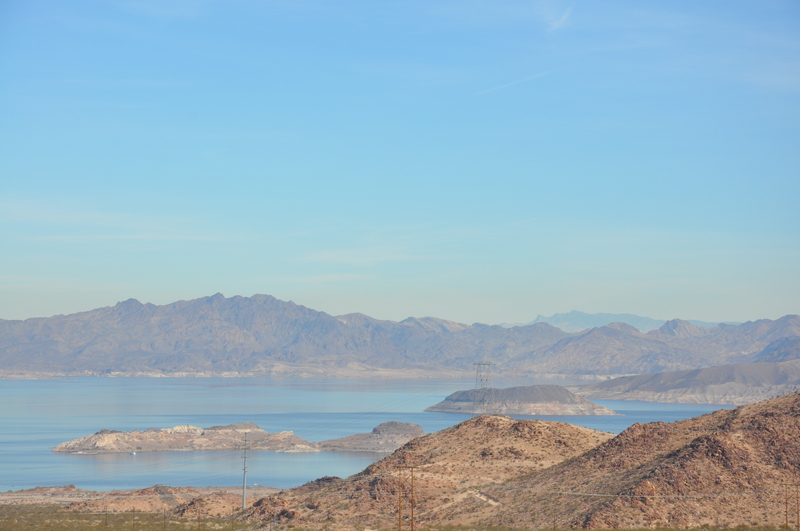 Before you get to the Arizona-Nevada state line, be sure to pull over and check out Lake Mead. It’s not much to swim in, but the surrounding mountains always look cool. There is plenty of space to pull over, read plaques, and take pictures. The Lake Mead Visitors Center is closed for some pretty major renovations, so snap your picture and move onward. Flagstaff is a next good stop. This pine-tree and university town is lucky enough to get great weather in the summer and enough snow for skiing in the winter. Drive down the historic Route 66 and do some shopping and/or drinking in the streets just east of N Humphreys and north of E Santa Fe. If it’s summer and you are doing things leisurely (which I hope you are! ), dip down highway 89A and check out Slide Rock State Park and Sedona. Forty five minutes down I-40 is Winslow, Arizona. Pull out your “Hell Freezes Over” CD and drive down to E. 2nd street to check out the Standin’ on the Corner Park. If you are in the mood for gourmet southwestern cuisine, The Turquoise Room at La Posada Hotel is a rare shining spot in this depressed little town. I crossed the Arizona-New Mexico border at nighttime, which is sad. The slabs of red rock are an appropriate welcome to the state, even though they are decorated with statues of Native warriors and teepees. The whole scene is about as authentic as a dreamcatcher (um, that would be not very), but the scenery is so striking, I usually don’t care. When you hit Gallup stop at Blake’s Lotaburger for a green chile cheeseburger. Or anywhere really, they are deliciously addicting. If you will be in this corner of New Mexico for more than a day or two, give The Blue Desert Guide Company a call for an authentic New Mexico experience. Amanda and Vino (former Navajo Reservation teachers) LOVE to show off their favorite part of the world. If you are only here for a few hours, make sure the sun is either going up or down. Southwest sunsets and rises are the best here. Albuquerque gets a bad rap, which is good for cheap hotel rooms (usually less than $50 by the airport. I mean “Sunport”), but the Sandia Mountains are nice, as is the area around the University. Luckily, Santa Fe is on the way to Las Vegas. Santa Fe is not as cool as most people say it is, but the central plaza is pretty cute. Do some window shopping, (but if you are serious about buying Native goods, head back to Gallup where they are half the price), take a picture of the missions and the adobde buildings. Just don’t lose you pictures when your computer crashes (it’s been a fun week). The quick drive between Santa Fe and Las Vegas, NM is really nice. I did it when the sun was rising in the morning, which I highly recommend. The Santa Fe National Forest, the low mountain passes, the mountian homes in the hills and the tiny little towns make for a nice drive. As you coast off the exit and head down into Las Vegas, you won’t find any half-naked dancers, Elvi, or screaming blackjack tables. This Las Vegas is a great place to spend a couple hours though. Grab some posole and poke around the parks, shops, and museum on Grand Ave. Revel in the quiet and be glad you aren’t down $500.